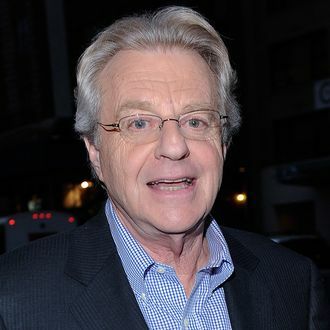 After years of standing back and letting the chaos run the show, Jerry Springer is going to start judging you all. After 27 seasons of The Jerry Springer Show, which the CW stopped ordering new episodes of this spring, Springer will return to TV with Judge Jerry. According to producer NBCUniversal TV, the show will have Springer “slide from the stage to behind the bench using law and order to settle disputes.” “For the first time in my life, I am going to be called honorable,” Springer said in a statement. “My career is coming full circle and I finally get to put my law degree to use after all these years.” Judge Jerry will start airing half-hour episodes in syndication this fall, giving that Judy a run for her money. Is The Jerry Springer Show Finally Done?